All images by Nick Collingwood. Used with permission. Based in Brooklyn, he has an affinity for Super 8 and Instant film. This love of the analogue world and culture was recently turned into a business of his: he second shoots as a wedding photographer and focuses on weddings. Oh yeah, and he loves talking about gear. Nick: In my final year studying animation at SCAD, I found an old Polaroid Land 250 camera I had gotten in a garage sale and repaired it, found the film online and I was off. Suddenly enthralled with photography, I then quickly found my dad’s old Canon AE-1P and burnt through a bunch of film shooting everything I could. I soon realized the expense of film photography and bought a DSLR and used that for a couple of years but slowly grew somewhat bored of digital so I starting picking up my Polaroid and AE-1P more and soon moved to a almost fully analog workflow. Then after meeting a German filmmaker on my lunch break while freelancing in Manhattan, I immediately got hooked on Super 8 and wondered why I had never explored analog filmmaking before. Since then I’ve gone on trips abroad and stateside going pure analog with 35mm, Polaroids and Super 8 and it’s been amazing. Don’t regret leaving the DSLR at home at all. 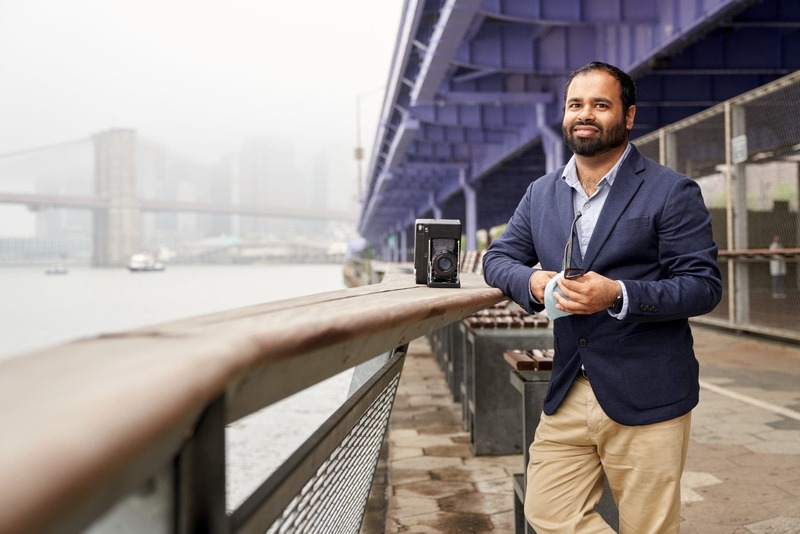 Phoblographer: What made you want to get into Polaroids and Instant film? Nick: I think a big attraction for Polaroids is the magic behind it and the “wow” factor, especially when peeling a pack-film photo. It never ceases to amaze people, including myself. Also, having grown up with Polaroids early in my life, it definitely has that nostalgic feeling that instant film is known for. Even 35mm doesn’t quite have it sometimes. Yet instant provided the film quality that I loved as well as the more immediate gratification that we crave in this day and age. Plus, the camera itself is a great conversation starter no matter where I am. Phoblographer: So you’re starting a business on the side that’s all about the analogue process when it comes to wedding photography. Why? 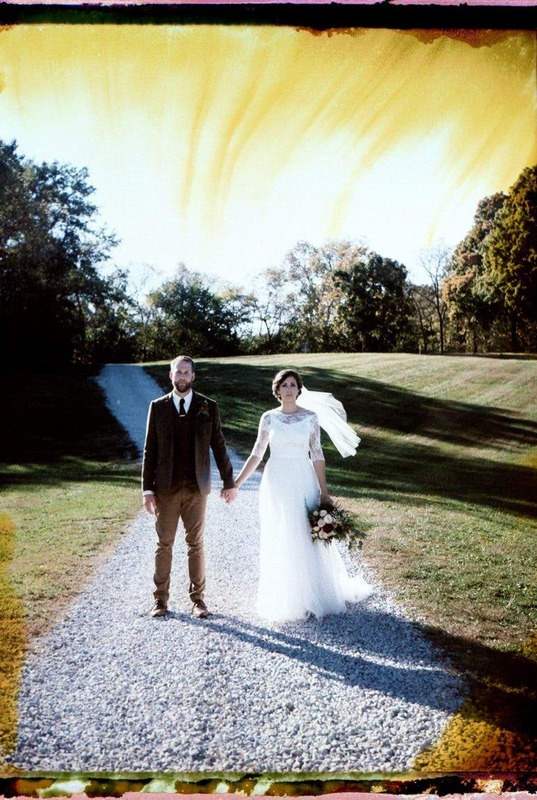 Collin & Tara Wedding – Highlight // Super 8 from Nick Collingwood Vintage on Vimeo. Nick: I’m a motion designer by day but in the past couple of years, I’ve found my love of film photography becoming more of an obsession than a hobby constantly shooting and researching film. 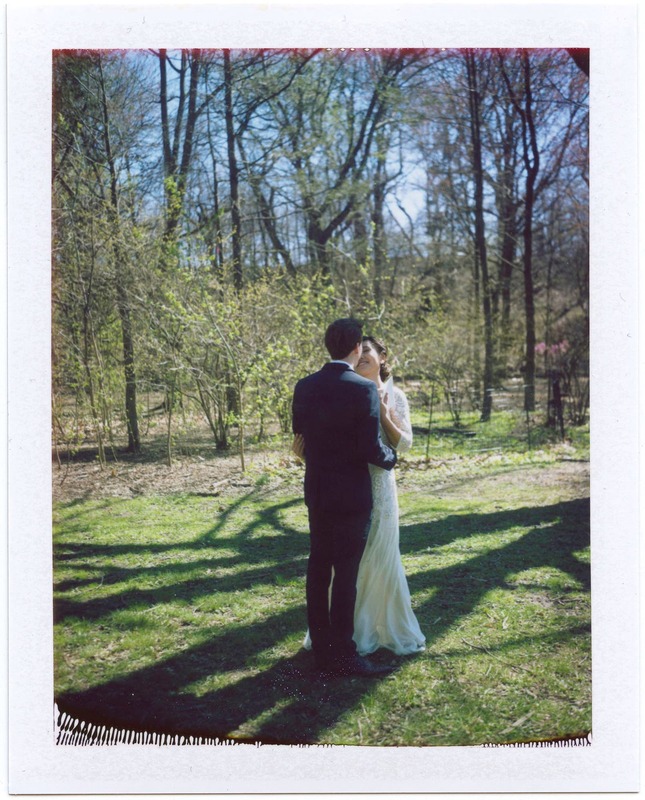 Since I am always eager to shoot something new, I began shooting a few friends’ weddings on Polaroids just for fun and they were an absolute hit! 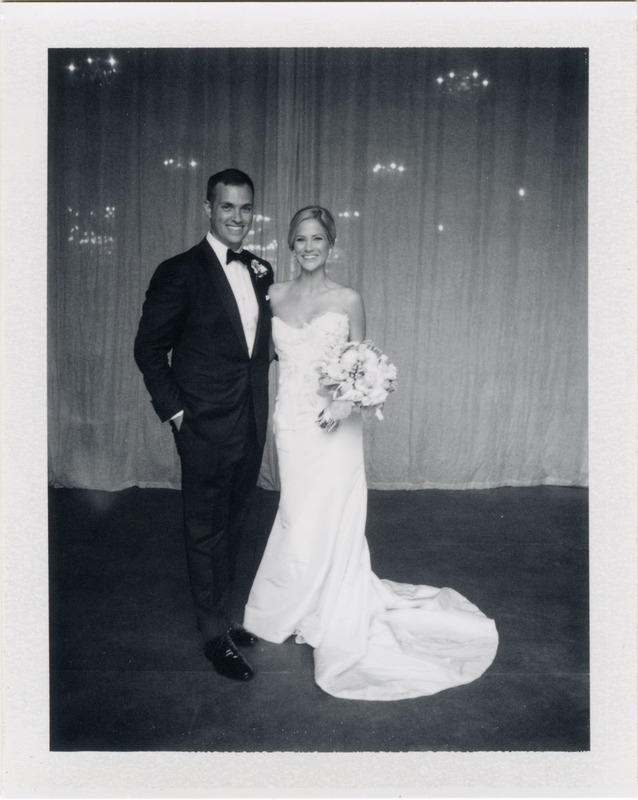 People loved the nostalgic quality and texture that the instant film had plus the couples loved that it was a photo memento they could hold almost immediately. Then a similar thing started to happen when I picked up Super 8. People loved the emotions that Super 8 film can invoke, bordering the line between professional filming and home movies. So with more and more friends wanting to pay me to shoot their weddings, my fiancée suggested I try and make something more of it, and here I am, with Nick Collingwood Vintage. Speaking of my fiancée, last year we went to her grandparents’ home and viewed their wedding album full of photos shot on a Graphlex medium format camera around five decades ago and the quality was unbelievable. They looked incredible and since they still had the negatives, we could still make large prints of them with no issues even today. That is what is so amazing about film to me. It has always been around whereas DSLRS, computers, CR2’s, NRGs, etc. are always changing and being made obsolete. So that visit was also an inspiration for the business. Phoblographer: When you pitch the idea to couples, how do they usually take it? Nick: I would say they take it really well! I think part of it is that with how saturated the wedding market is with anything, couples are looking for things to set their wedding apart. Between cheaper DSLRs, social media and the wedding industry itself, weddings have become a factory line of sorts with couples being pushed through the process, being told what they want. I want Nick Collingwood Vintage to offer something different from the norm. Something that isn’t so high strung as the rest of the wedding industry but still provides a memorable way to capture such an important day of their lives. Phoblographer: What’s your process like there? It seems like you’re not doing the candid-style photojournalistic weddings, but instead proper posing and exercising creative freedom of mind? Nick: The Polaroid Land cameras aren’t the easiest cameras to focus quickly so that definitely slows my photo taking down significantly. That, combined with the high cost of the film now makes me really consider each shot I am taking so run-and-gun photography just is not a wise choice for it. Therefore, I tend to set up the shots in a more traditional way and make each shot frame-worthy. That way by the end of the wedding, the couple has a ~20 image Polaroid-journal of important moments throughout the day vs the hundreds of digital photos they will have to sort through after the wedding. Phoblographer: Would you say what you’re doing is more creating or capturing? Why? Nick: I would say with the Polaroids it’s more creating. With the slower process for the Polaroids, it puts the importance on creating interesting situations to photograph on film vs capturing candid shots made easy with modern autofocus cameras. Also, with the ability to salvage the negatives from the FP-100C print with some bleach and rubber gloves, the sharpness and grain of the film really stand out and the effects are really amazing. So not only do I get the Polaroid print, I get a little more creative freedom by scanning the higher resolution negatives which sometimes have bleach stains and other great analog imperfections. With the Super 8, given its history as a home movie format, I think it’s definitely more about capturing. With the low framerate, slight softness and the larger grain of Super 8, it really invokes a sense of the 60s and 70s and those amazing home movies laying around in basements that still look as great today as the day they were shot. The beauty and longevity of film. Plus Super 8 cameras look less intimidating than a whole digital videography rig so people don’t feel as camera shy with it. Phoblographer: Talk to us about the gear and film you’re using. What really tough technical challenges does it give you? Now that 100-C is all gone, what are you planning on using? Nick: Gosh, I could probably talk about gear all day. On the photo side of things, I’ve been using two Polaroid Land 250 cameras I have repaired along with my diminishing supply of Fujifilm FP-100c and FP-3000b. The Land 250 camera is a really great camera with a sharp lens but given the rangefinder aspect of focusing along with the slow speed of 100 ISO for the color, and not to mention the inherent cost associated with instant film, it forces me to slow down a lot with my photos. As far as the discontinuation of the final peel apart pack film, I have definitely been following the #savepackfilm movements like Supersense’s Florian Kaps talks with Fujifilm and his API (Analog Product Institute) along with New55 and CatLABS of JP talks of making a new pack film. I’m hoping they can join forces and really make something happen. After 3000b got discontinued, the pack film world just kind of shrugged and said “at least there’s still 100C” but now with that gone, I’m glad to see it put a fire under our collective butts to try and do something about it. With that said, I’ve been testing out Impossible Project’s films these past couple of months especially since it has B&W film, something that Instax does not and I have been mostly impressed with the results. It’s admittedly hard coming off of the analog bliss that is FP-100C and 3000b but I’d rather have this than nothing. Plus with IP’s new camera and new film generations being released, it’s great that it seems to always be improving. I’ve been mostly interested in the wider format Spectra since it’s closest to pack film size though it does seem like much of instant film’s community focuses on the square format so we will see. As far as Super 8 goes, I’ve been using a combination of different vintage cameras along with Kodak’s Super 8 film stocks which are 3 different speeds of color negative film and 1 speed of B&W Tri-X film. I’ve also experimented with home development but just personal projects. Different Super 8 cameras give starkly different amounts of sharpness and contrast as well as special features like timelapse, slow motion or low light capabilities so Super 8 for me has definitely been a case of GAS (Gear Acquisition Syndrome) since there are so many cameras and all with such different film aesthetics. I think I have 8 but luckily they were relatively cheap on eBay. haha. But to be specific, I probably use the complex and sharp Nizo 801 Macro or the tiny and light Canon 514XL the most. Phoblographer: What’s your marketing plan for this when loads of wedding goers always love to shoot and upload to Instagram with a specific hashtag for everyone to see the photos? Phoblographer: Do you feel that Instant film and tangible photography is the future for the artist community? Nick: That’s a tough one. I think ultimately it depends on the workflow. While I’d love for a huge film resurgence (and with Impossible’s I-1 camera as well as Kodak’s new Super 8 camera, it’s definitely having a resurgence), I think having options is the future. With so many film options like pack film, Type 55, Kodachrome and Ektachrome and plenty of other films being discontinued, it just limits artists to certain creative mediums. It’d be a shame for future photographers to be limited to strictly one type of photography. I do film photography because I enjoy the process of using it but if someone prefers the digital process, more power to them, but at least they would have options for both.